By providing your email address above, you agree to receive Colloquium Numbr emails and newsletters. You can unsubscribe at any time through the unsubscribe link in the messages that will be sent to you. Reviewing budget on a regular basis is a key tool in managing an event… but it’s time consuming. From budget creation to closing process, Colloquium Numbr will assist you in managing each step of your budget. Select a budget template (preloaded or customized) and just start to manage your budget following Colloquium Numbr advice. At any time, Colloquium Numbr will calculate for you an accurate evaluation of your income and expenses in order to help you make good decision. Purchasing activities is an important part of the event manager job and we know that you can save 10% to 20 % of your event expenses by leading formal request for proposal (RFP) for your main contratcs… but it’s time consuming. Colloquium Numbr will assist you in selecting suppliers, specifing your needs and analysing their proposals. Once you have made your decision, just validate the offer and Colloquium Numbr will automatically update you budget. An event is like a small business, where you need to manage a lot of accounting tasks like payment issues or bank account reconciliations… and this is clearly not the most fulfilling part of your job. Is it ? All your invoices are issued and saved in the system. 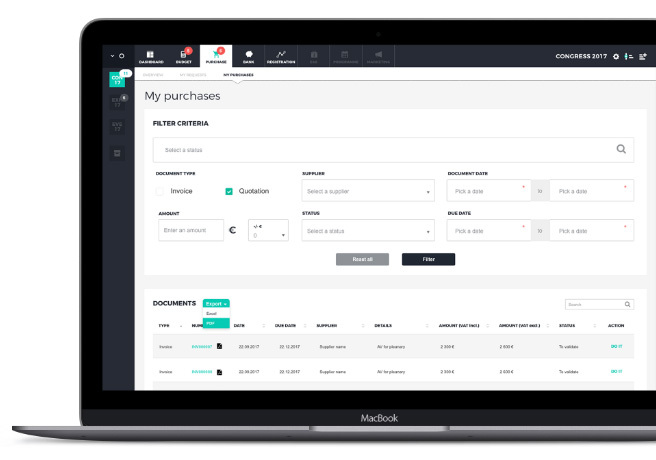 As soon as you validated the invoice, a debit is issued on your bank account and the payment is automatically sent to the supplier. 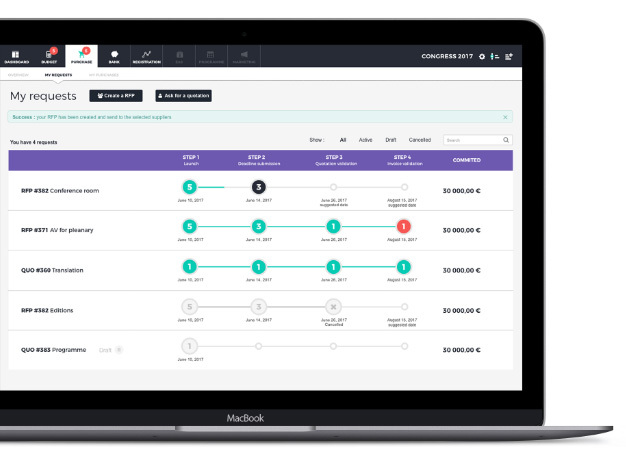 All invoices are linked to budget lines, it’s the best audit track you can ever find. 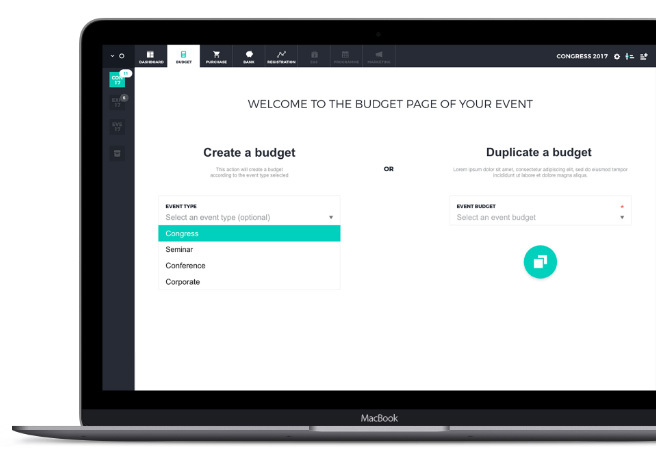 On the same time, all accounting entries relating to your event budget are downloadable at a universal format. Collecting and analyzing your event data is the best way to make accurate decisions. But it’s boring and time consuming (again)! Colloquium Numbr mixes the superpowers of big data, good design and experience to provide you a clear overview of your event at any time. Thanks to APIs*, Colloquium Numbr is able to collect and aggregate all data from your different applications (like your registration system) and connect it with your budget. We combine big data with our long experience of events to deliver predictive analysis and recurring schemas in event management. * Application Programming Interfaces are sets of requirements that govern how one application can talk to another. 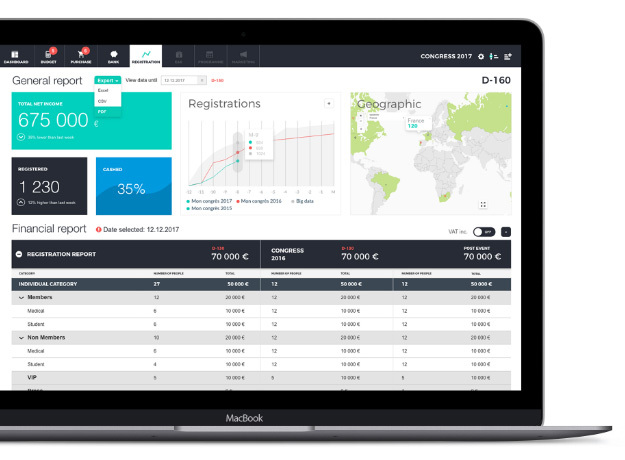 We want to build the greatest event management platform. We are working on new services to expand Colloquium Numbr’s scope. Improve the performance of your event on the web: track your website and social media analytics, share tips with other events. 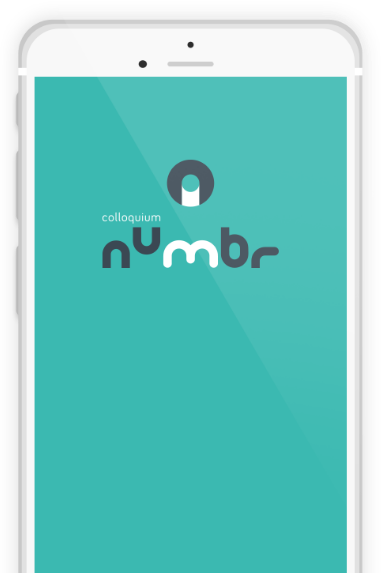 Want to use Colloquium Numbr?